In this paper, I explore the ways in which the 2012 Elsevier boycott and resultant call for open access scholarship known as the “academic spring” have been taken up by scholars in the humanities and social sciences. I begin by reviewing the current state of affairs with regards to publishing and the academy, explicating the movement’s reasons for demanding change. From this, I identify two moral principles which emerge from its critique, and then I show how implementing the recommendations which have been circulated as alternatives to the status quo do not necessarily support the academic spring’s foundational principles. I conclude by suggesting a possible alternative direction of productive action and sounding a final word of caution. Abbott A. Publication and the future of knowledge. 2008. http://home.uchicago.edu/~aabbott/Papers/aaup.pdf. Anon. Researchers taking a stand. The Cost of Knowledge. 2012a. http://thecostofknowledge.com/#list. Anon. The price of information. The Economist. February 4. 2012b. http://www.economist.com/node/21545974. Anon. 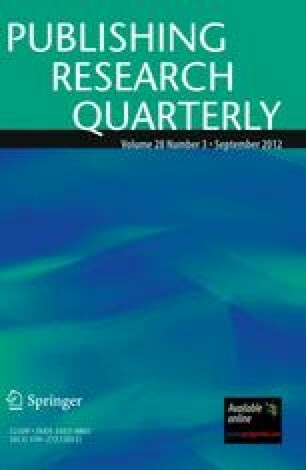 A message to the research community: journal pricing, discounts and access. Elsevier. 2012c. http://www.elsevier.com/wps/find/intro.cws_home/elsevieropenletter. Anon. Faculty advisory council memorandum on journal pricing. Harvard University. 2012d. http://isites.harvard.edu/icb/icb.do?keyword=k77982&tabgroupid=icb.tabgroup143448. Bauerlein M. Diminishing returns in humanities research. Chron High Educ. July 20,sec. The Chronicle Review. 2009. http://chronicle.com/article/Diminishing-Returns-in/47107/. Bell A. Wider open spaces. Times High Education. April 19. 2012. http://www.timeshighereducation.co.uk/story.asp?storycode=419684. Brienza C. Communication or credentialing? On the value of academic publishing. Impact Soc. Sci. 2011.http://blogs.lse.ac.uk/impactofsocialsciences/2011/05/05/communication-or-credentialing/. Brienza C. Kathleen Fitzpatrick: Planned obsolescence: publishing, technology, and the future of the academy. Publ Res Q. 2012;1–2. doi: 10.1007/s12109-012-9271-6. Chace WM. The decline of the English department. The American Scholar. 2009. http://theamericanscholar.org/the-decline-of-the-english-department/. Davidson C. Harvard’s memo on periodical subscriptions. HASTAC: Humanities, Arts, Science, and Technology Advanced Collaboratory. 2012. http://hastac.org/blogs/cathy-davidson/2012/04/24/harvard-balks-doesnt-ban-commercial-periodical-subscriptions. Eve M. Open access journals: are we asking the right questions? The Guardian, February 8, sec. Higher Education Network. 2012. http://www.guardian.co.uk/higher-education-network/blog/2012/feb/08/open-access-journals-elsvier-boycott. Fisher B. An academic spring? 2012. http://americanlibrariesmagazine.org/features/04042012/academic-spring. Flood A. Scientists sign petition to boycott academic publisher Elsevier. The Guardian, February 2, sec. Science. 2012. http://www.guardian.co.uk/science/2012/feb/02/academics-boycott-publisher-elsevier. Gower T. Elsevier—My part in its downfall. Gower’s Weblog: Math Relat Discuss. 2012. http://gowers.wordpress.com/2012/01/21/elsevier-my-part-in-its-downfall/. Jha A. Wellcome Trust joins ‘academic spring’ to open up science. The Guardian, April 9, sec. Science. 2012a. http://www.guardian.co.uk/science/2012/apr/09/wellcome-trust-academic-spring. Jha A. Wikipedia founder to help in government’s research scheme. The Guardian, May 1, sec. Science. 2012b. http://www.guardian.co.uk/technology/2012/may/01/wikipedia-research-jimmy-wales-online. Lin T. Researchers boycott Elsevier journal publisher. The New York Times, February 13, sec. Science. 2012. http://www.nytimes.com/2012/02/14/science/researchers-boycott-elsevier-journal-publisher.html. Madrigal A. Harvard vs. Yale: open-access publishing edition. The Atlantic. 2012. http://www.theatlantic.com/technology/archive/2012/04/harvard-vs-yale-open-access-publishing-edition/256468/. Moscovitch B. Spring must thaw more than academics journals. The Guardian, April 26, sec. Higher education network. 2012. http://www.guardian.co.uk/higher-education-network/blog/2012/apr/26/impact-of-academic-spring. Taylor G. Branding academic publishers ‘enemies of science’ is offensive and wrong. The Guardian. January 27, sec. Science. 2012. http://www.guardian.co.uk/science/2012/jan/27/academic-publishers-enemies-science-wrong. Taylor M. Academic publishers have become the enemies of science. The Guardian. January 16, sec. Science. 2012. http://www.guardian.co.uk/science/2012/jan/16/academic-publishers-enemies-science.